UPDATED: Thu., June 7, 2018, 10:22 p.m.
Spokane will be one of the first cities to implement a new initiative aimed at helping the poor off federal assistance. Seventeen cities, including Spokane, were named “EnVision Centers” by Secretary of Housing and Urban Development Ben Carson on Thursday. The designation seeks to create a “hub” in Spokane where people who receive federal assistance will have access to programs with the aim to get them off federal aid. Spokane Housing Authority and the Spokane Area Workforce Development Council were named as the partner organizations for Spokane’s EnVision Center. Calls to the two organizations were not returned. Other communities named in the program include Detroit, San Diego, Chicago, Kansas City, Philadelphia and Youngstown, Ohio. The centers will be located on or near public housing developments, and will be “centralized hubs that serve as an incubator to support four key pillars of self-sufficiency.” Those pillars are economic empowerment, educational advancement, health and wellness, and character and leadership. 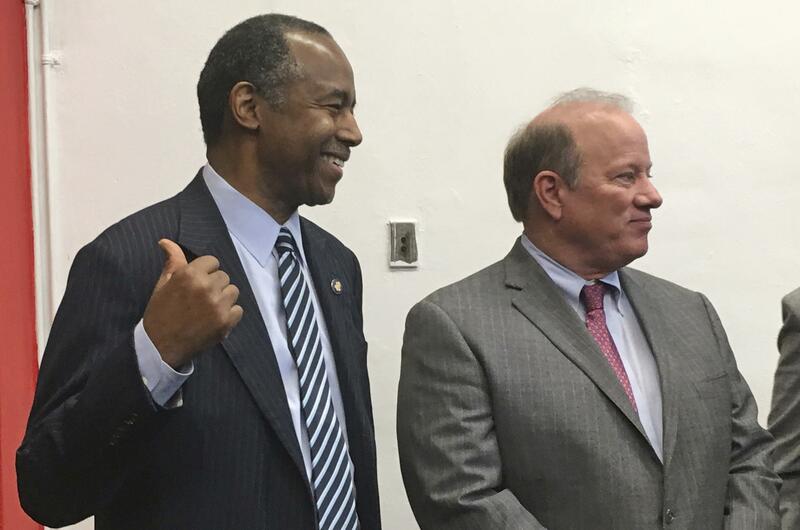 The announcement of the program follows Carson’s proposal to raise rents for millions of Americans who live in public housing as a path to self-sufficiency by pushing more people to find work. The EnVision program that includes Spokane is described as a “signature initiative” of Carson, who unveiled the program and its recipients at an event in Detroit. Published: June 7, 2018, 1:06 p.m. Updated: June 7, 2018, 10:22 p.m.